March was the busiest ever month for new car registrations with a record 562,337 new cars hitting the road, according to the latest figures from the Society for Motor Manufacturers and Traders (SMMT). This means the new car market grew by a huge 8.4%, with a total of 820,016 cars registered in 2017 so far. So with March more than doubling total registrations for 2017, what drove the growth? The record performance was primarily fuelled as drivers seized the opportunity to get their new car before new vehicle excise duty (VED) rates came into force on 1 April; under the new system, all cars except those with zero emissions will be subject to a higher flat rate. 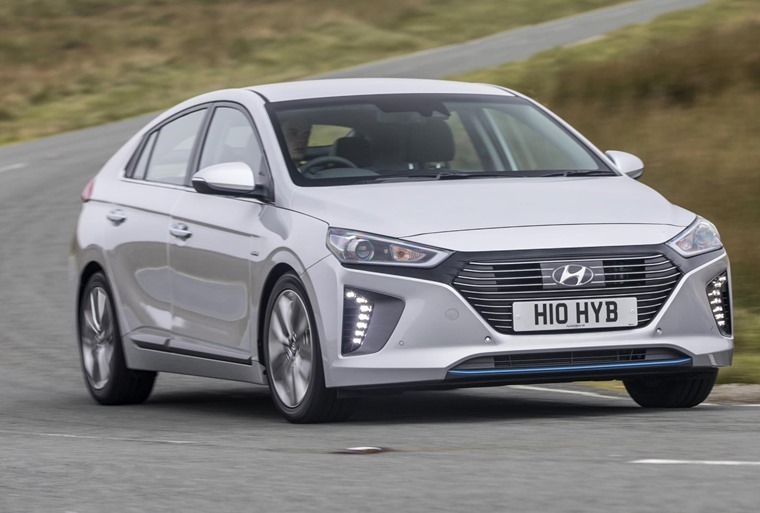 First and foremost, March saw the trend for the latest low-emission tech grow further, with March seeing a 31% surge in registrations of alternatively fuelled vehicles. This is no doubt partly because hybrids registered after 1 April will no longer benefit from a tax-free incentive. With savvy UK motorists keen to make the most of the old system before the changes became law, ContractHireAndLeasing.com saw hybrid and EV enquiries jump by a massive 97.6% in the three months leading up to 1 April, as UK drivers sought to get a better deal ahead of the VED changes. 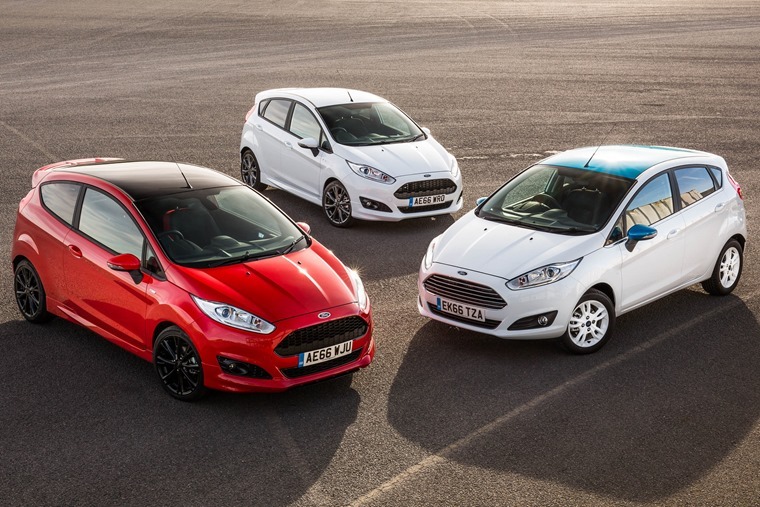 However, demand for petrol cars experienced a notable uplift too (295,256). 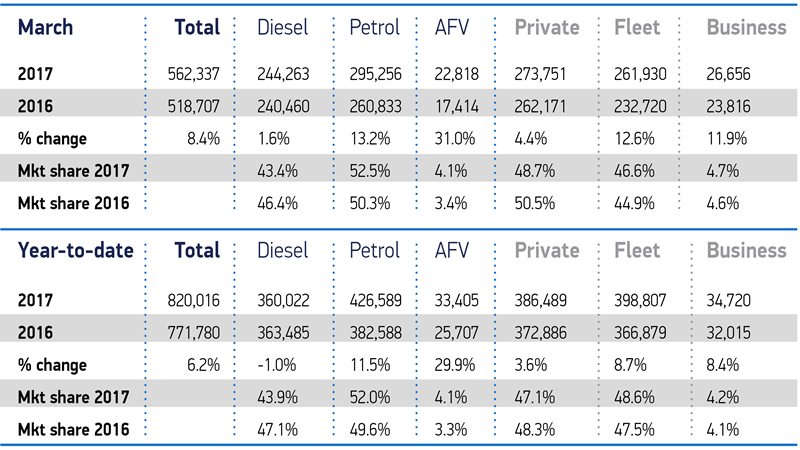 Despite its recent bad press, demand for diesel power also hit record highs, with 244,263 registered in March alone. Again, the jump is likely due to the new VED changes, that will see drivers of all cars hit by heavier tax bills. Once more, it was the fleet sector (which includes personal contract hire) that accounted for the biggest market growth in March, with registrations up 12.6% year-on-year. Businesses also boosted registrations, with 11.9% more company cars hitting the road than in the same month last year. Looking ahead to the rest of the year, the SMMT still expects the new car market to cool somewhat, partly due to the continuing uncertainties that face the market post-Brexit. However, with Theresa May triggering article 50 last week, things should start to become clearer over the coming months. There’s no surprises when it comes to the most popular cars of the year so far and now the 17-plate rush is over, we should see the table settle down over the coming months.